These weekends disappear far to quickly. It’s already time for another Geekly Review. As mentioned on the previous few Geekly Reviews, I’m setting myself the goal of completing my back log of games, and just generally trying to complete more games this year. Last week I was working on The Last of Us Remastered. Well during the week I completed it and I take back some of the negativity I wrote about it in previous weeks. Wow. So the second half of the game really does pick up, and you actually start to give a damn about Joel and Ellie, Especially Ellie. There were certain parts in final stages of the game where I’ve felt so attached and concerned for Ellie’s well being, And that kind of involvement and attachment I’ve not felt that strongly about in computer games since Tidus & Yuna in FFX or Ryu in Shenmue. That’s a huge compliment to the game to get me that drawn in. When describing scenes to my wife she commented that “I’m speaking about Ellie as if she’s a real girl” and that’s when the realization hit me that I gave a massive amount of time and concern to these characters. In other news my film viewing only went up by one. 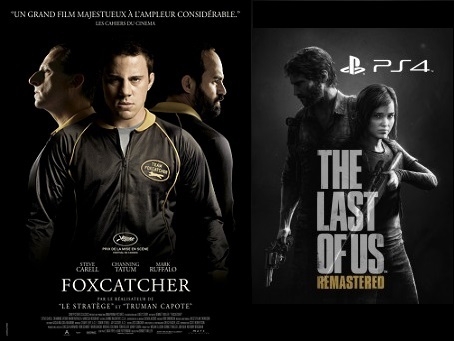 I took the time to continue with Oscar bait films with FoxCatcher based on the real story of a patriotic American who wanted wrestling to succeed in the World championships and Olympic games. Channing Tatum was awesome in this, It’s a bit odd that Ruffalo got award recognition in the recently announced nominations where as Tatum (and for that matter Jake Gyllenhaal from NightCraweler) was ignored. Anyway onto this weekend. I had a gaming night scheduled on the Friday with some old work colleagues, but unfortunately last minute those plans had to be rescheduled to another weekend due to sickness and last minute furniture deliveries. So with a free night I decided to open and use one of my Christmas presents with my wife. Walking Dead themed Monopoly. It’s exactly as it sounds, the classic game but with Walking Dead inspired locations, chance and community chest cards. Albeit named differently to fit the style. As most games do, this one lasted a good 4 hours but eventually I forced my wife to hand over all her money and property for the victory. Another particular good thing about Friday is that we finally subscribed to the WWE Network. So after our game which finished gone 11pm, We went to bed but I decided to try the network out on PS4. Well I picked a PPV from their vault, I opted Wrestlemania X7 from 2001 (Wow that makes me feel old) and went on to watch it from start to finish without skipping a match. Damn WWE(F) back in the day was incredible. Such an amazing roster which guaranteed awesome match after awesome match which is exactly what WMX7 was (maybe apart from the gimmick battle royal). I’ve already got my monies worth out of the network by Sunday evening. Saturday was again spent browsing through the WWE network practically all day until the early evening when we attended a welcome home party for one of our friends who’d been travelling for the year. Was a very entertaining night considering I wasn’t drinking. All the highlights of the night coming from some very drunk friends with antics such as falling face first into an open fridge, sipping shots resulting in some heaving and 4 guys hanging out in a porch not much larger than a sofa just… because. Naturally when we got home from that party I put the WWE network on again and just watched some episodes of Monday Night Wars. And finally onto the lazy Sunday where all that’s normally planned is a weekly food shop then the rest of the day is spent lazing around playing games. I did just that. With The Last of Us coming to such an emotional filled ending (There are no spoilers there I promise) I needed to switch to something a little more lighter. So I opened up Knack which was my final PS4 game from Christmas. I’m currently still on the 2nd chapter, and hey it’s not too bad. It’s pretty to look at graphically and a nice bright game. But something that was grating on me was that I’m beginning to run out of memory on my PS4 now, So when looking through what to delete I noticed Thief was still installed. Rather than uninstall it though I started playing it again from the beginning as it’s one of only 2 retail PS4 games I’ve yet to complete. I’d forgotten the controls or where I was so thought starting again would be best. Maybe I was a little harsh on this game, as starting it again, and taking time playing it properly, the first 3 chapters were actually not that bad. Maybe it helps that as playing it I could remember what I done on these parts in my initial play through so it made it a little easier to navigate the circumstances. But I’ll persevere with it this time round and hopefully should be one and a half games off the list by next week. I planned on playing the Evolve Beta this weekend, but in my infinite wisdom, I paused the download on Thursday evening when playing Destiny, and then forgot to restart it again meaning I didn’t actually get to play it at all. YAY! As per usual I did play Destiny. It’s becoming a bit of a routine thing now. I’ve been working on my second character a lot, playing a lot of PVP. One thing I’ve really noticed since doing this, is that PVP is great for getting you to level 20 nice and quickly, but terrible for giving any decent kind of rewards. I’ve put in around 12 hours in to my new character, almost 7 hours of that has been PVP. I know that in comparison to many others that is just a drop in the water. But in that time the only decent drop I’ve had is a piece of rare chest armour, which is pretty poor. Equally for my other character who has around 45 hours in PVP I’ve never had a legendary engram drop whilst playing, or an exotic. I might also add that I’ve never seen anyone on my PVP team get an exotic drop either, so it must be a pretty rare thing. Compare that to say the Crota’s End raid, which I’ve probably only spent an hour playing, I’ve had one Exotic weapon drop and 2 pieces of armour. Yes, I get that you are meant to be able to get the best loot from the raid’s, but there will be people who mostly like to play PVP, and I can’t help but feel they are getting a little screwed over. Speaking of Crota’s End, we all know Bungie dropped out a patch this week to ‘fix’ it. But within hours of it being released, people were reporting that many areas of it were still cheese-able, or people had found out new cheese-ing methods. 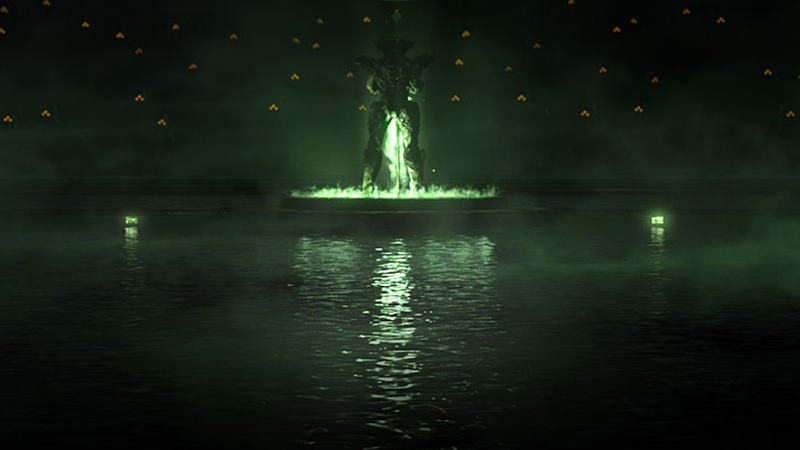 For me, Crota’s End has to be one of the worst bits of content for Destiny. It’s just a complete mess, nothing seems to work as it should, The Vault of Glass is far superior in my opinion, and Bungie really need to step it up for the next raid. Those aren’t eye, that’s actually bits of cheese for every cheese-ing method. I didn’t sit in and play Destiny all weekend though. On Saturday night we went out for a few drinks with some friends. Now, I don’t really know what happened the next morning, because I didn’t think I was that drunk, but I had the worst hangover I think I’ve had in life. I’m totally not even being dramatic either. I did encounter another annoying game mechanic too. So, there is a mission where you have to collect some barrels of gun powder, for some reason, I won’t tell you what just in case. Anyway, to be able to pick the barrel up first you need to be incognito – fine, that makes sense, but then it takes you around 10 seconds of holding ‘B’ to actually be able to pick the barrel up. Why? Why do you just stand in front of it doing nothing for 10 seconds and then pick it up. It’s stupid! Is it to make it a little harder for you if you are trying to sneak around? Ok, but the thing is, is I killed everyone and no one is left to watch me. At least make it an animation for a few seconds, at least it might make a bit more sense then. Stupid game mechanics.